From the people who brought you Stateland Cafe, comes this new dessert spot called Brother Bird, located along the hipster Bali Lane. 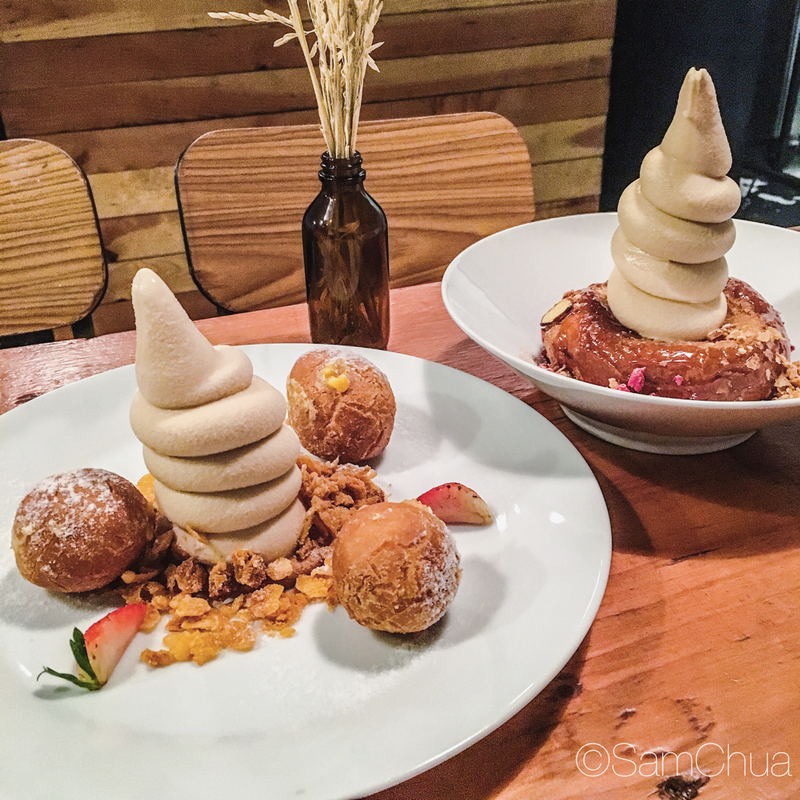 Here, we have the Liu Sha fried rice-balls, salted egg yolk custard filled mochi donuts with cookie butter soft serve (speculoos) and the star Mont Blanc “Bird Nest”, warm chewy glazed donut with almond nuts, chestnut cream, kinako powder, very crisp and topped with Speculoos soft serve. Definitely coming back for more warm chewy donuts.